Kate Oldham is a U18 athlete from Carbondale, CO who skis for the Aspen Valley Ski and Snowboard Club. 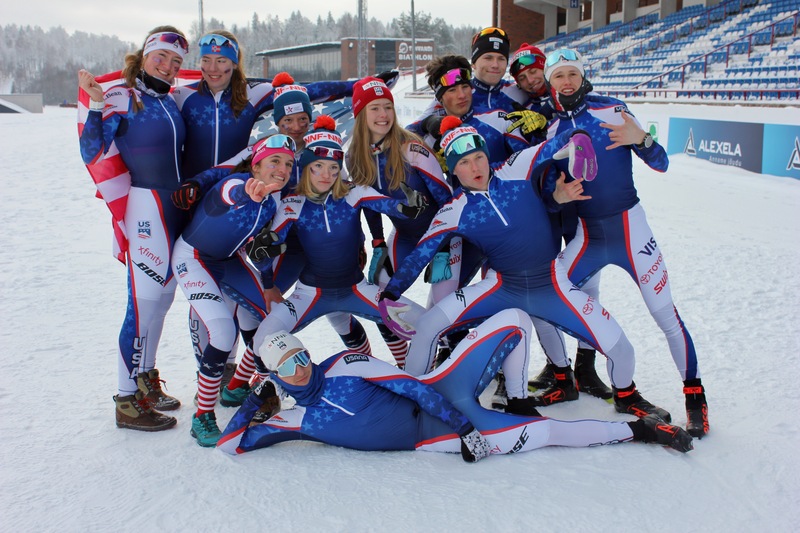 After strong results at US Nationals, Kate was selected as one of the six female U18 skiers to travel to Otepää, Estonia from January 20th – 30th to race in the Nations’ Cup races, where she competed in a field of about 40 junior athletes from Norway, Sweden, Finland, and Estonia. 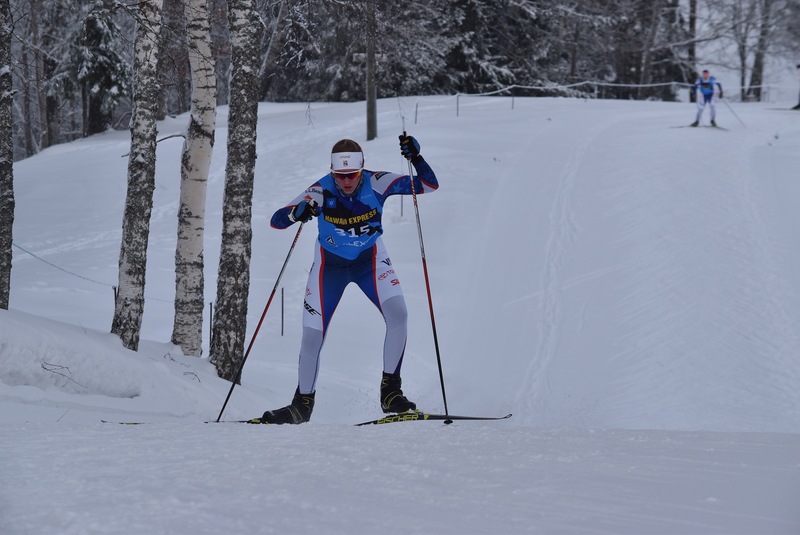 Kate finished 24th in the 1.3-kilometer classic sprint, and 20th in the 5k skate. The top three members of the team also competed in a 3 x 3k relay. 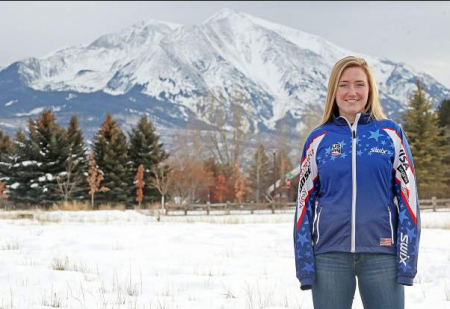 Staying in peak form while traveling domestically or internationally is a challenge that takes trial and error to dial in, making it difficult for many junior athletes. 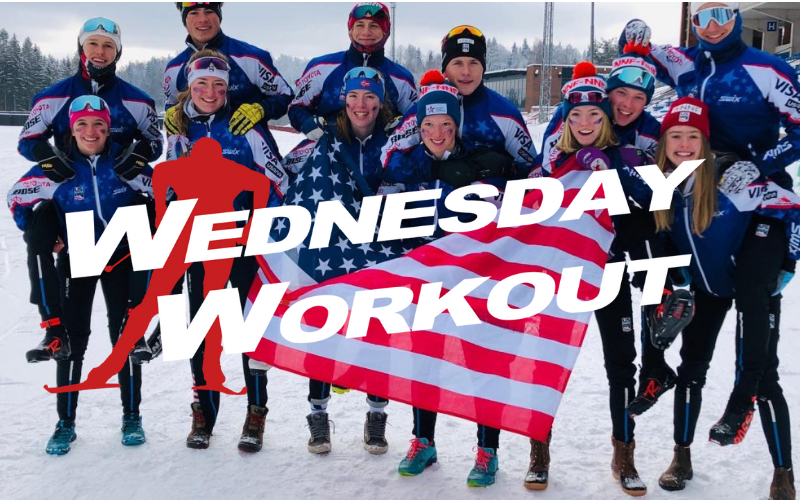 In this week’s Wednesday Workout, Kate shares what she has learned about staying healthy and ready to race while traveling, and what a typical day in the life of a U18 skier looks like during the Nations’ Cup trip. Here’s Kate’s Write up. 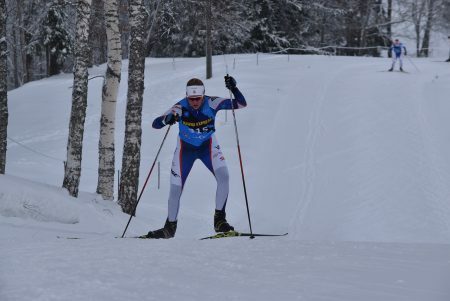 Being on the road makes recovering from training and preparing for races more challenging. Staying on top of nutrition and self-care are very important since it’s easy to get run down or sick from the added tax on your body. To ensure that I do not allow myself to become depleted, I always bring a snack with simple carbohydrates and lots of protein for right after training, and I make sure that I have a dry change of clothes for when we are done. The snack jumpstarts my recovery since I am replacing the glycogen that is depleted during training and making protein available for my body to begin repairing the muscles that get broken down. It also stabilizes my blood sugar levels so I don’t feel as much of a post-ski crash. The change of clothes keeps me from being chilled on the ride home. Traveling overseas adds a whole different stress. Sitting during long plane or car rides makes for a stiff body, and the sleep disruption, jet lag, and exposure to new germs can make it easy to get sick. Wearing compression socks or tights, drinking lots of water, and bringing healthy snacks are all key for big travel days. It also helps a lot to get up and walk around whenever possible to keep circulation in the legs. An easy jog or light walk will usually help to flush out lactic acid once I arrive at my destination as well, and can help with adjusting to a time change. Luckily, managing daily nutrition in Estonia was fairly easy. The hotel we stayed at was very accommodating and helpful and provided healthy food options. As a backup or to follow a training session, I brought along protein bars and my favorite shake mix so that I always had a really good portable protein source available. My go-to’s are Vega protein powder and Bobo’s peanut or almond butter bars. That way if there are any issues with the meals being served, I can substitute a protein shake in for another part of the meal and still get the nutrients I need. I also use the bars and other protein sources like beef jerky as a quick snack before bed, which helps to sustain glucose levels overnight since they are slower to digest so I’m not as depleted in the morning. A day in Estonia begins with a short easy jog or walk to get my muscles moving for the day and to boost my metabolism. Then I eat breakfast, ideally three hours before the start of the day’s race. My usual breakfast before a sprint or 5k is cereal with almond milk, banana, and a scoop of peanut butter, though sometimes I eat something similar with oatmeal instead of the cereal before longer races where I want more sustained energy. After breakfast, I like to stretch before getting ready. Then glitter… very important!! Around an hour and a half before my start, I head to the venue. I begin warming up an hour prior to the start, then it’s race time! 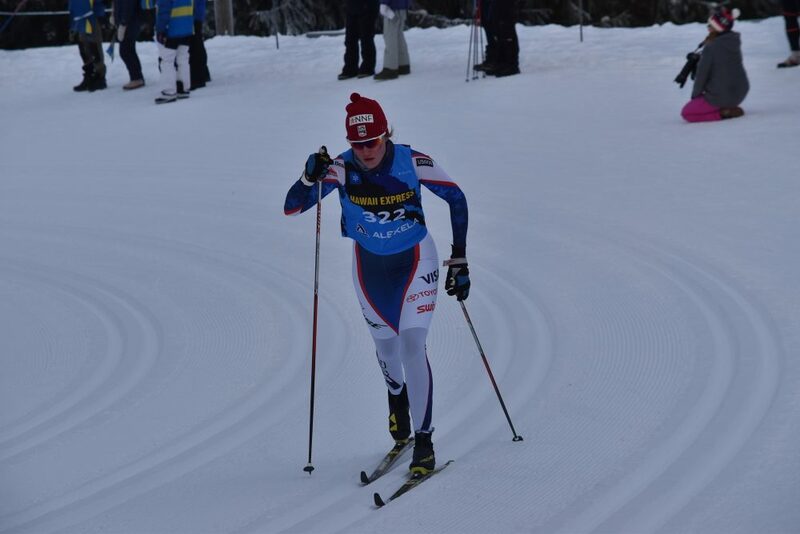 After the race, my focus shifts to recovery again. I switch into my dry clothes and have a quick snack. I like to take a shower if possible to wash the bacteria from my skin and to warm up so I can avoid getting sick on the road. I also try to get in a larger meal within a couple hours post-race, preferably a burrito bowl with rice, beans, lots of veggies, some kind of meat, and all the toppings. In the evening, we go for a second easy jog or walk to help flush the lactic acid that has built up from the day, followed by some stretching. Then it’s early to bed to rest up for the next day!